Passion of product introduction long-established, in order to meet the delicate taste of height Japanese roasted depth. Use the coffee beans of "Mocha Blend" continue to be loved by the Japanese, by the "deep roasted extremity of" arrived were roasting method in the many years of research, realize the full-bodied deep while also easy to drink coffee. Full of applied to the coffee full of "passion 'and' Good ', canned coffee of its founding more than 80 years long-established" Marufuku coffee shop "supervision. - Height rich deep flavor but we arrived in pursuit of the realization of refreshing drink coffee "Marufuku coffee shop" of roasted deep roasting method to adopt devised. 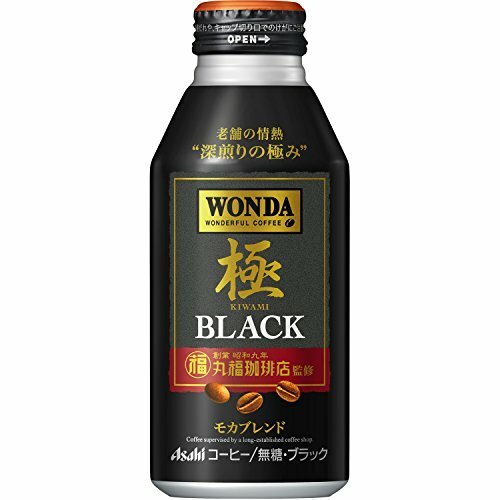 - Continue to be favored for many years to Mocha blend Japanese, blend in the center the "Mocha" familiar coffee beans. Please drink as soon as possible attention (Disclaimer)> always after please read-opening is Refrigerate-opening later. If allowed to stand, after opening at room temperature, you may jump the container may burst or cap.